Police science department of professional master degree in Southwest University of Political Science and Law is the second level degree project independently established under the level of law subject and approved by the academic degrees committee of the state council in 2004, it is the nation's first independent secondary discipline master's pay. It began to enroll the police science graduate student in 2006. Now there are eight master tutors, including 2 professors and 6 associate professors. The police science consists of five research directions that basic theory of police science, police administration, law of police, public security management, crime prevention and control. 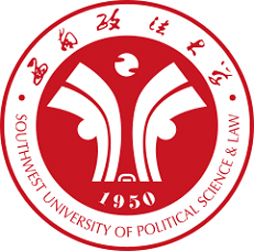 This subject integrated long experience of school running with resources in the institute of investigation of Southwest University of Political Science and Law, and obtained the unique academic theory in the aspects of police affairs and practice and discipline superiority under the joint efforts of teachers and students. It successively set up "the research center on American legal and politics",“the police science institute in SWUPL“and so forth, and launched a academic research for the center of policing theory innovation, and actively expand social services to achieve practical academic transformation. This subject adopted a dual tutorial system of “teaching” and “practicing” to improve the teaching effect of this discipline, making the teachers and students better integrate theory with practice. Teachers of subject group is not only a vigorous academic team, also a teaching team full of enthusiasm, graduate students after carefully guiding , found jobs in the local police and public security, procuratorate, customs, and prisons and other affair sectors, and their obvious achievements got employer’s great satisfaction.